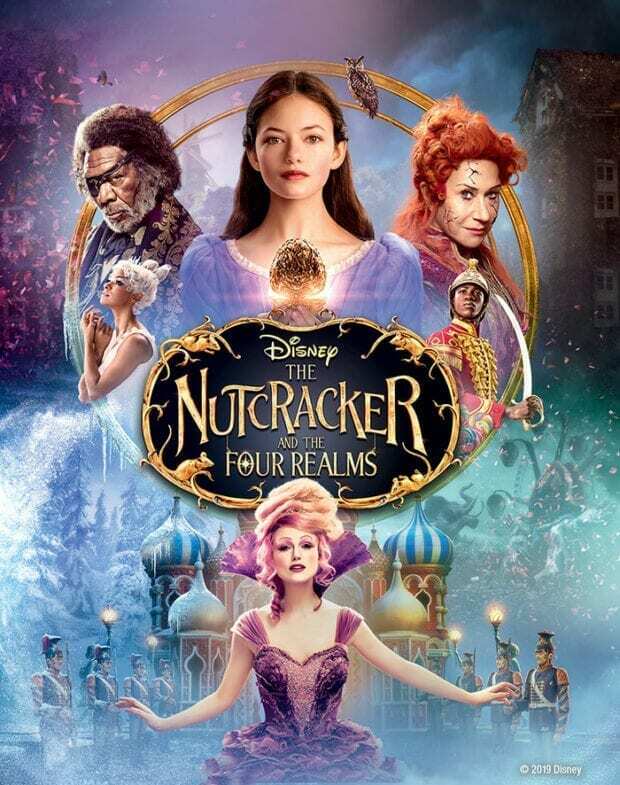 The holidays may be over but you can still get excited about The Nutcracker and the Four Realms coming out on digital and Blu-ray. 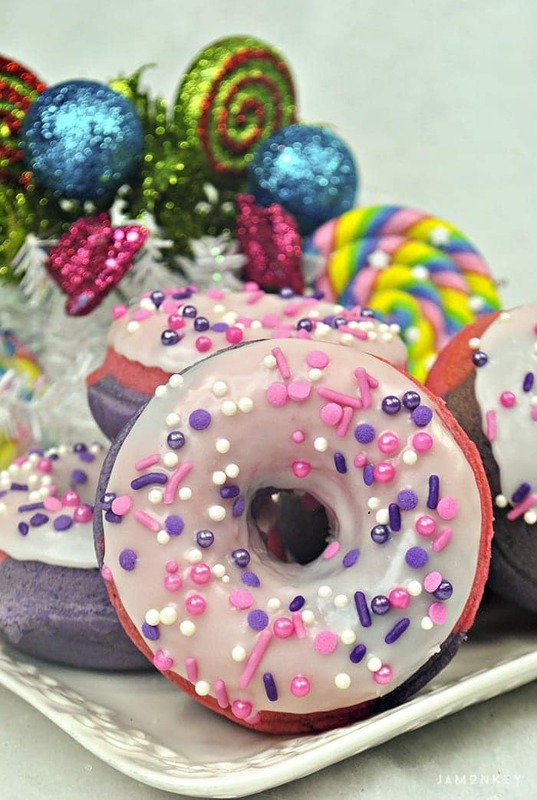 To celebrate we are sharing a fun Sugar Plum Fairy Donut recipe with you. 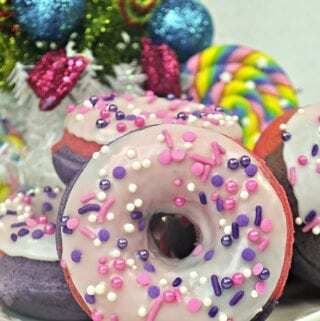 The Sugar Plum Fairy is the regent of the Land of the Sweets, and you'll agree that these Sugar Plum Fairy Donuts would fit right in there! 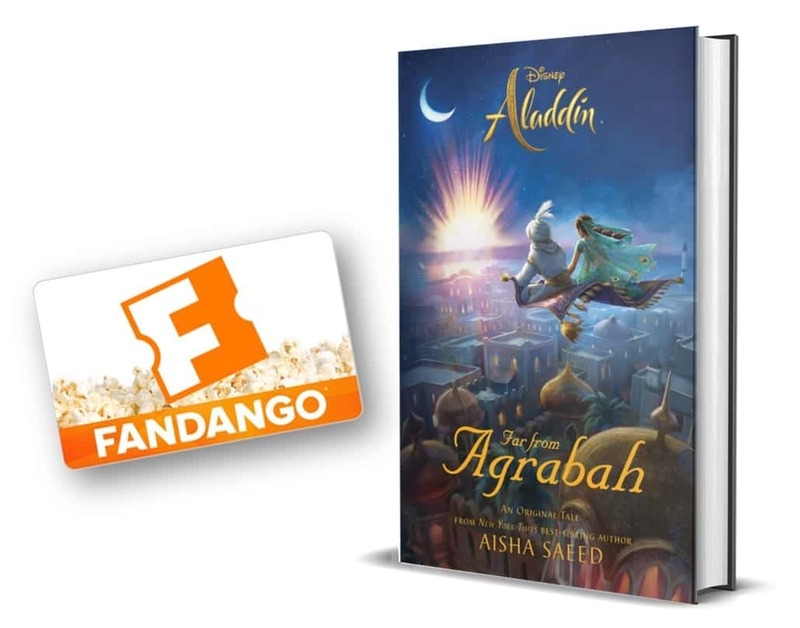 Enter to win Disney's The Nutcracker and the Four Realms at the bottom of this post. Colorful donuts topped with colorful sprinkles make these donuts fun for any time! I would call them a sweet treat to enjoy for parties. These sugar plum donut will be dancing through your mind all holiday season. Divide the batter into two bowls. Add several drops of pink food coloring in the first bowl. Add several drops of purple food coloring in the first bowl. Spoon equal amounts of the 2 batters into the donut pan. Whisk together the milk, powder sugar and vanilla extract until smooth. I love sweets and snowflakes. 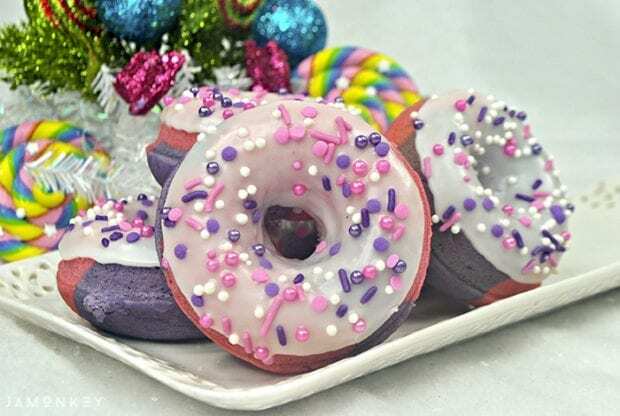 The colorful combination of colors of these donuts makes it very attractive to all because this dessert immediately stands out among the rest. I think that Amusement would be my favorite Realm. I think snowflake would be my absolute favorite but they all look so fun! I like the snowflakes realm, even though they all look so pretty.